It was cold, windy and growing dark. Was I by a warm fire eating chocolate and toasting my toes ? No, I was bent double at the back of a border wresting with a bramble resembling a giant, spiky python! I paused mid - chop to wonder what actually drives me to carry on working outside in the gloom, and came to the conclusion that it is, succinctly, hope that propels me. Hope that bulbs planted in the cold soil of autumn will give pleasure in the spring, hope that the seeds sown now will be flowering beautifully in the warmer days of summer and hope that the garden will be, well, just better next time round. There is a simple experiment to test someone's attitude to deferred gratification. You offer them a pound immediately, or two pounds in a month. I guess every true gardener will wait patiently for the two pounds, as we don't really do instant gratification. We are in it for the long game. We have to be, as we lovingly plant a sapling, knowing we will have to wait ten years to, literally, see the fruits of our labour. So this period of early spring sometimes seems to me like a test of endurance and patience, with the bonus of growing rewards as the season progresses. Although activities in the garden change character throughout the growing season, these few weeks always seems to be the hardest . I don't do much digging now, only the cutting garden and veg beds, but this is the time of year for doing what digging has to be done ; getting in to the back of the borders and dealing with any brambles or self seeded saplings; cutting some shrubs hard back and reshaping them; clearing beds of winter debris and hoeing every last one of them. It is hard physical work often in unpleasant cold weather. But it only takes a few rays of spring sunshine on your back to bring back those happy fuzzy feelings! And there are growing pleasures too, as old friends start to pop up around the garden. 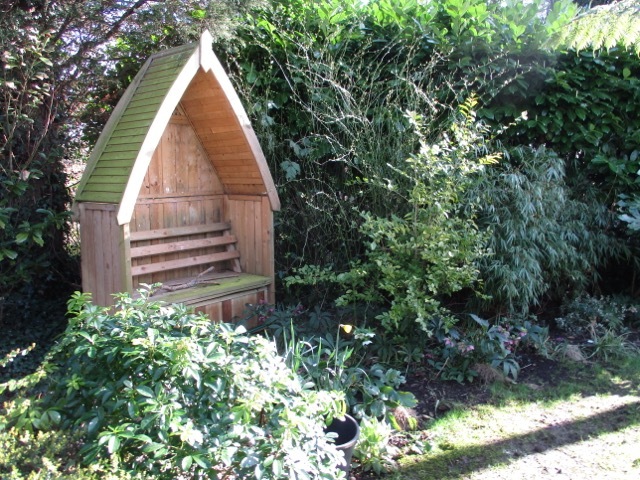 It does feel good to connect with the garden again, though, and to shake off the slothfulness of winter in honest graft. Work in the greenhouses remains pretty constant throughout the growing season, as it does not change in essence . The work is easy and very pleasant, especially on a cold day, when the warmth of is very welcoming. 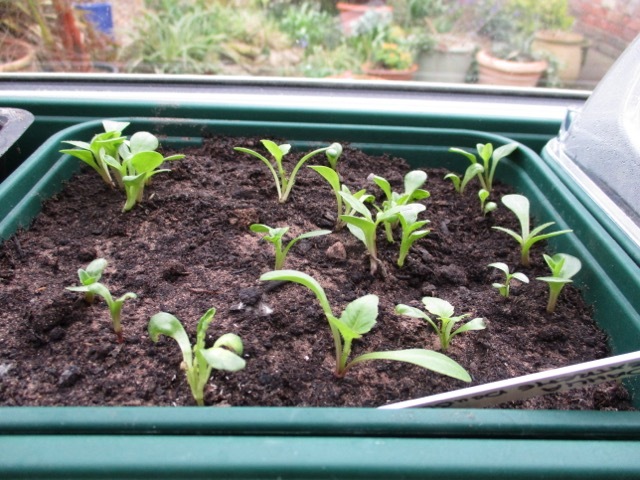 I have already sown lots of different seeds, and indeed the sweet peas and cerinthe are quite well grown now. 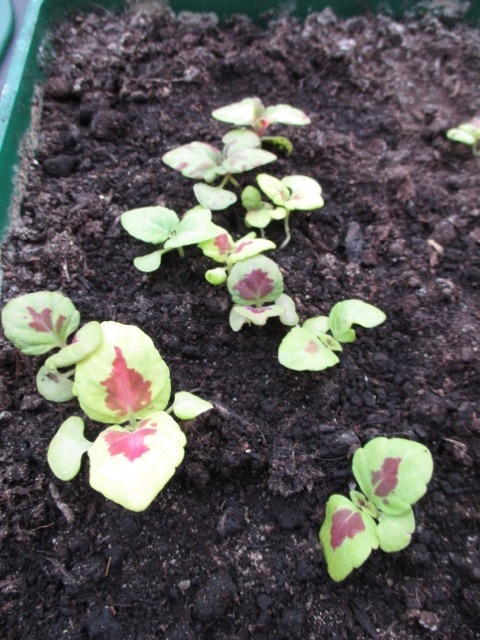 Most are doing well, and Coleus 'King Kong' seedlings (pictured above) have developed their red colouration over the last few days. 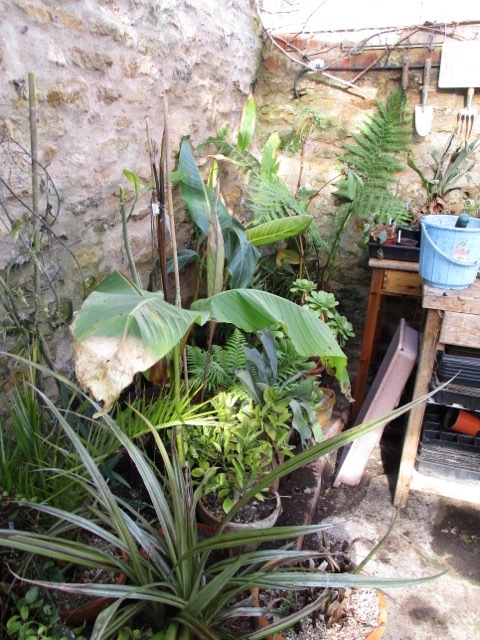 having a greenhouse means that there is always an alternative depending on the weather. Good days out in the garden, and rainy ones snug in the greenhouse. 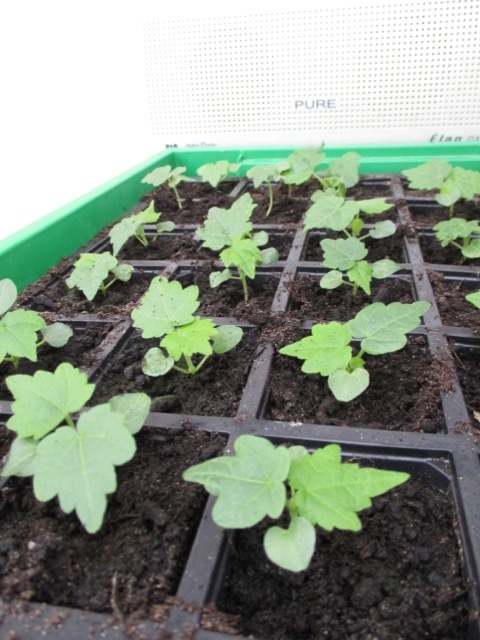 In the heated greenhouse the tender plants are waking up and have had their first drink of water since last autumn. 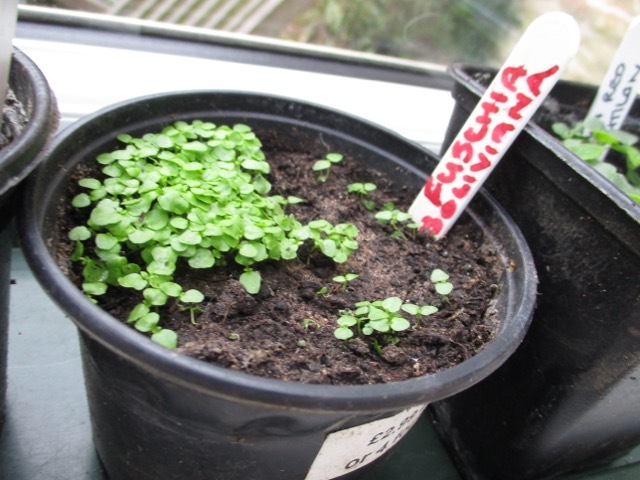 Salvias and fuchsias are putting out new leaves and hedychium , which have kept their leaves over winter, are putting out new spikes. 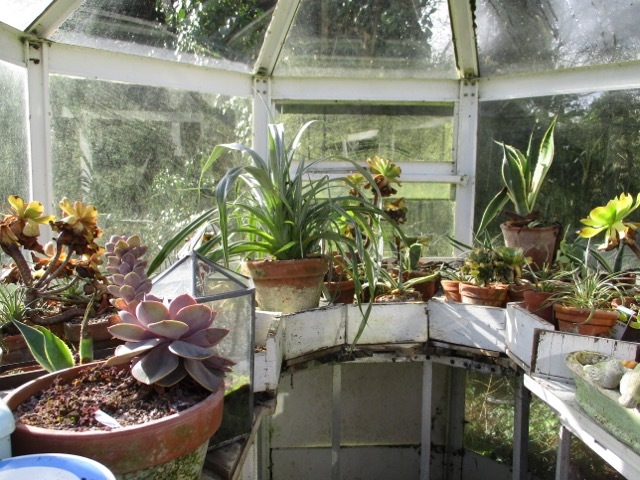 In the unheated greenhouse the succulents have had their first drink too - but a very sparing one as they are kept exceptionally dry until they are in active growth. This is the time of year when I am eternally grateful for box, photinia, euonymous and everything else which retains its colour, shape and form over winter. The dry bones of the garden are indeed evident now, and standing alone in the spotlight. As the season progresses they will fade gently into the background, as we focus on the new upstarts taking centre stage. When the delphiniums are in full flower, no one will notice the leaves on the holly tree. But for now, I am enjoying them in the stripped down beauty of the late winter garden. 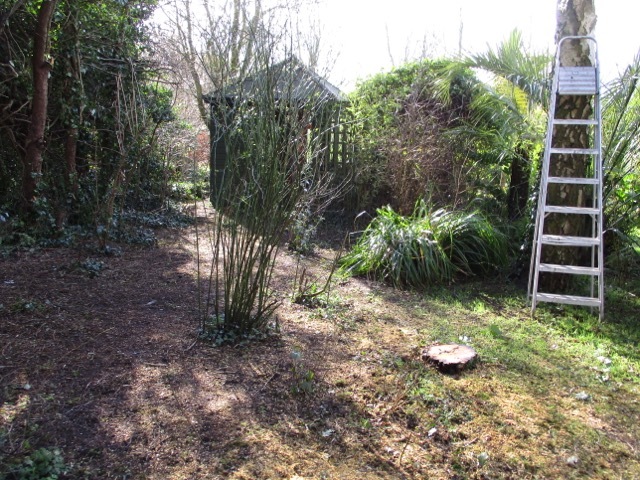 At least, at the moment, it is easy to see the skeleton of the garden, laid bare as it is, and not masked by other plants. It is a good time to take stock of the basic design, to plan and imagine changes and to try and make improvements. 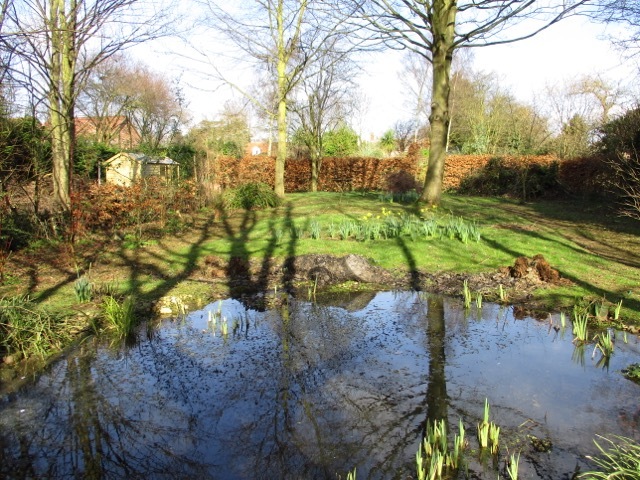 Gardens are kind and forgiving things, they give us a fresh start every spring, so that we can try to improve on the previous years, to enjoy successes and to make new mistakes - or even the same old mistakes over again! 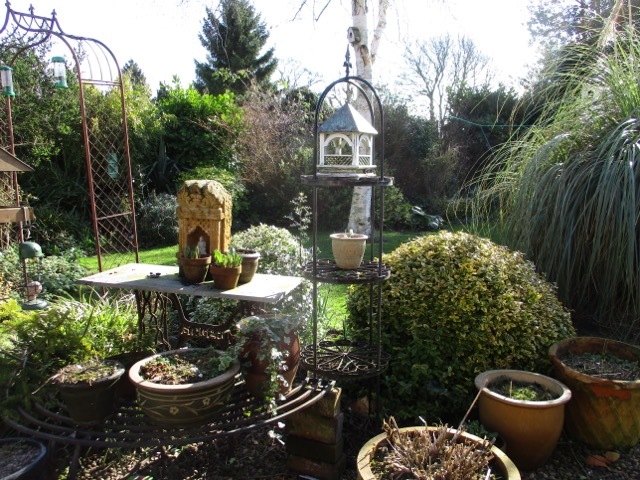 The garden is so much more simple when it is seen at this time of year, before the succession of plants begins to appear, and then, just as naturally, to disappear. How simple would the conifer and heather gardens of the 1970's be to look after, as they never changed in any way, but remained the same month after month. No gaps left by early perennials dying back, or by bulbs finishing. The contemporary garden, however, is a tapestry which changes day by day, and what looks fantastic one week can become a travesty very rapidly. Planning that succession of form, colour and texture is an easier task at this time of year when there is little else to distract the eye. 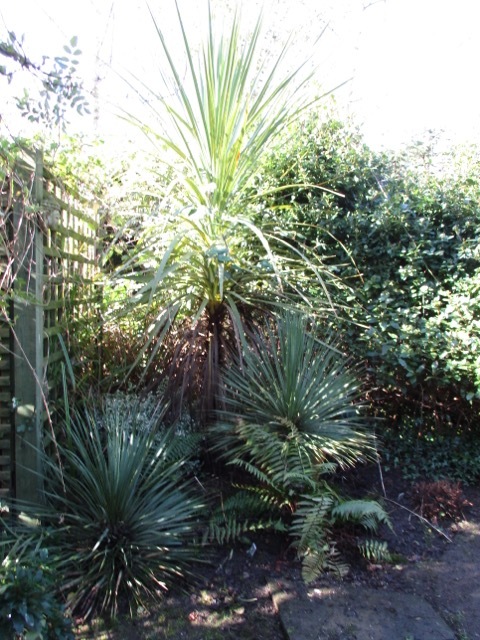 There are changes afoot in our garden this season, and one development is that the area shown in the photo below, will be planted up as an extension to the sub tropical garden. It has only taken us 35 years to cultivate this bit for the first time! It has been made a lot easier by the purchase of a chain saw - which I have finally agreed to after 35 years, as my partner is the most accident prone person I know, and shouldn't be let loose with a spoon, never mind a chainsaw. However, he has promised to have proper safety training and to wear all safety aids, including full chainmail! 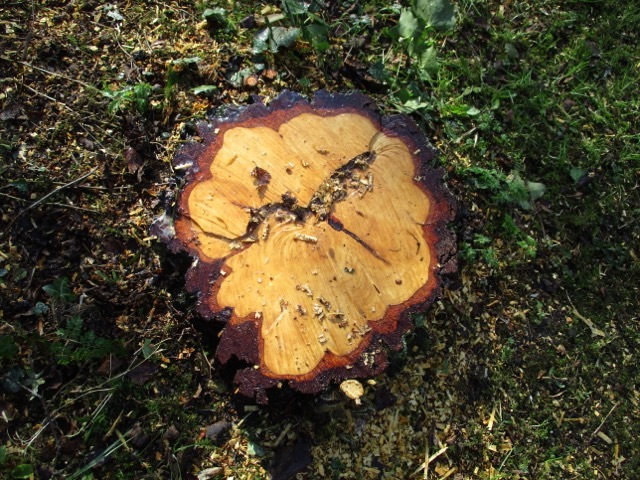 He and a friend have felled a silver birch, leaving us with a nice new chunk of garden to plant up! 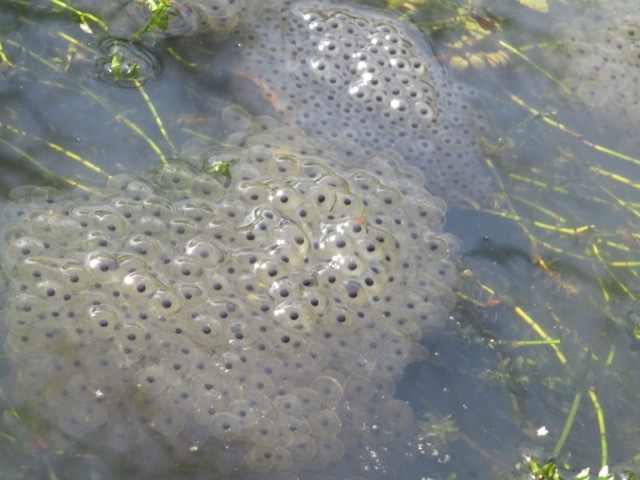 Spring must be springing as I spotted frogspawn in the wildlife pond for the first time yesterday. Lots of it ! No evidence of the proud parents yet, but I expect they will be cavorting in the water very soon. 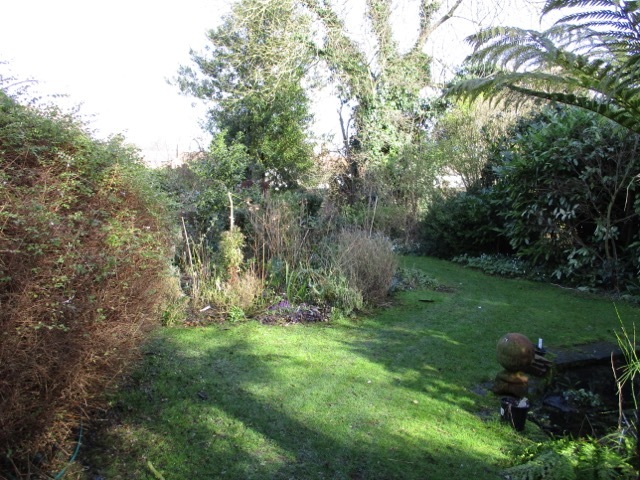 The garden has suffered little damage so far this winter, and our lowest temperature has been minus five degrees. We have invested in a max/ min thermometer which has been really useful for charting variations in temperature. I will whisper this bit ... "we haven't lost anything yet" ... in fear of waking the slumbering garden gods and incurring their wrath. Tender stuff has been affected superficially, but will recover quickly once dormancy ends, and real growth begins. 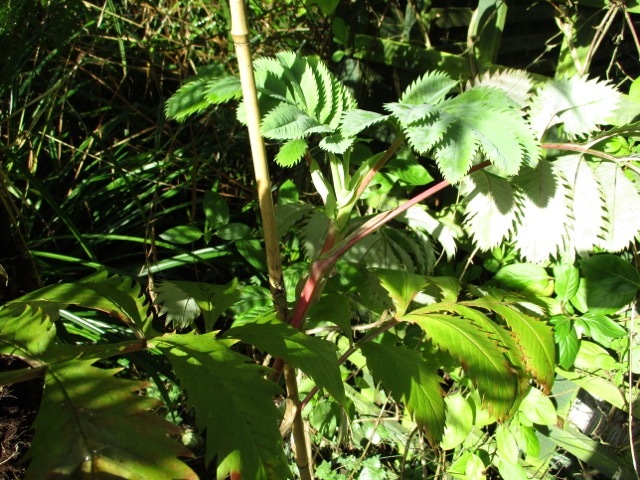 The Melianthus Major in the photo above has barely been checked and is now putting out new growth. 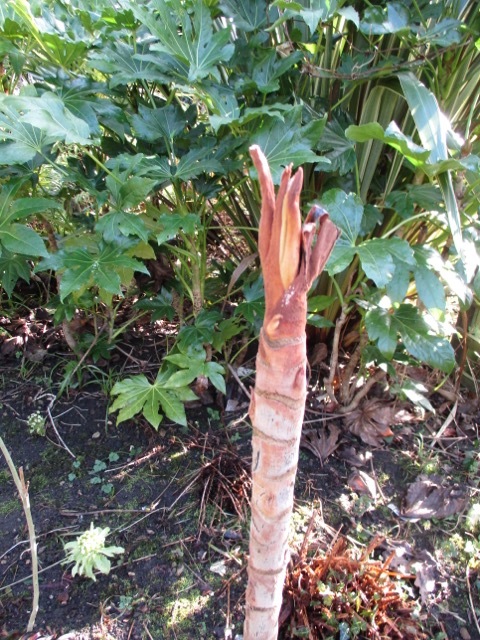 We have four different Tetrapanax throughout the garden, and this is the most exposed one, which has suffered the most. 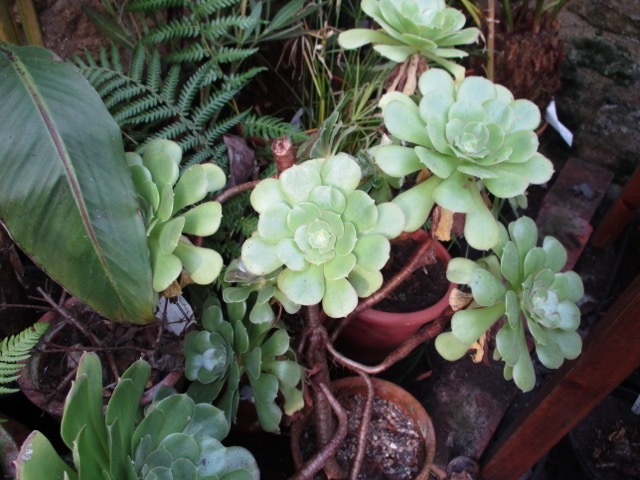 It has lost leaves but the plant itself is fine. 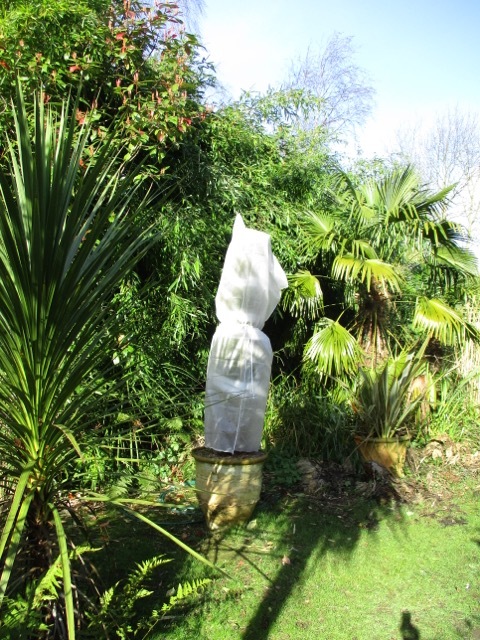 Abutilons have made it through so far without any protection other than that offered by neighbouring plants. 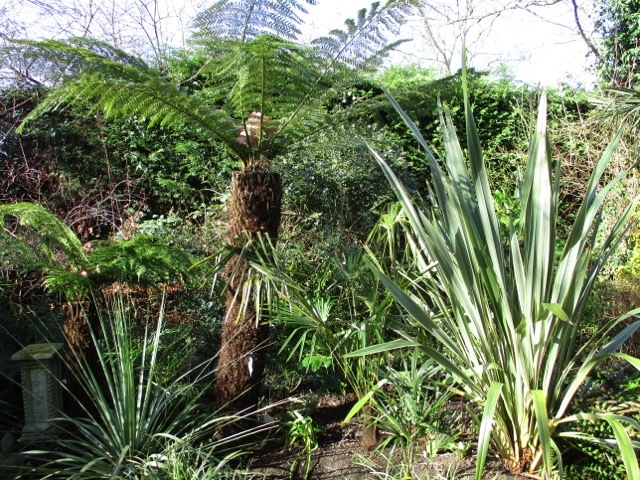 All the tree ferns have kept their fronds with no evidence of browning yet. Ours is not a spring garden, and we don't go big on bulbs, but just add a few every year, to what is already there. There are some splashes of colour evident from daffodils, crocuses, hellebores and pulmonaria, but nothing very exciting. My favourite is Iris Reticulata, which is late to bloom this year, for some reason, and has only opened fully over the last couple of days. 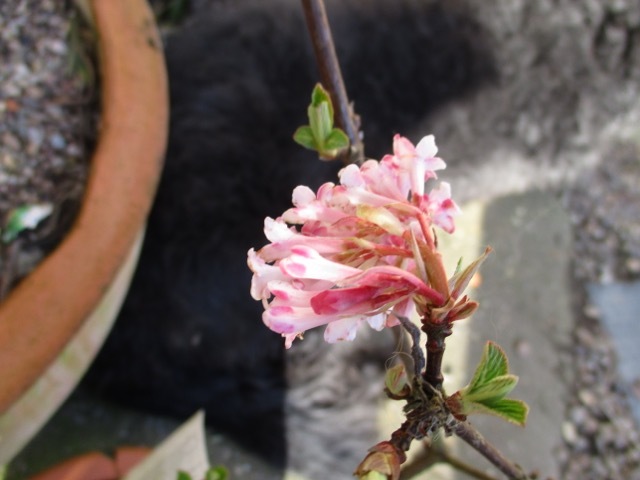 There are also three different varieties of Hamamelis by the back door, so that they give maximum enjoyment. 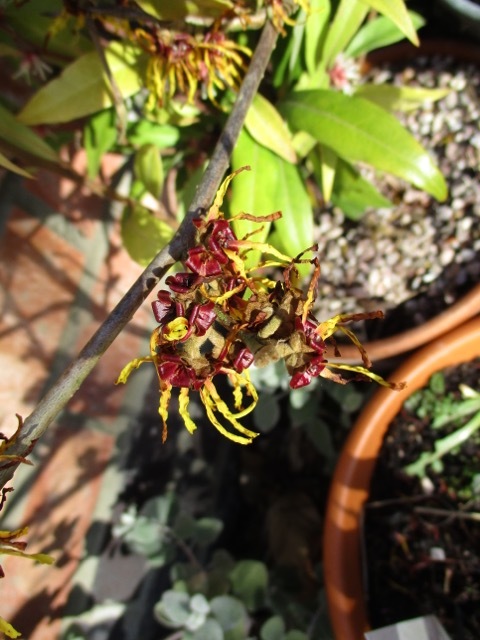 They are nearly over now, but H. Intermedia 'Pallida' is still radiant. 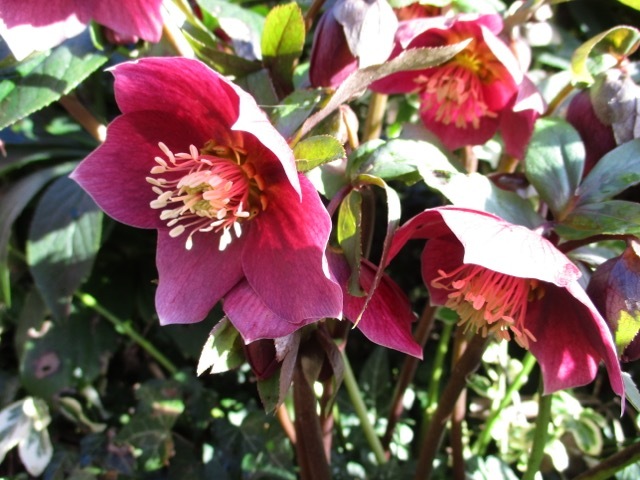 Viburnam Bodnantense 'Dawn' is just making a welcome appearance too. 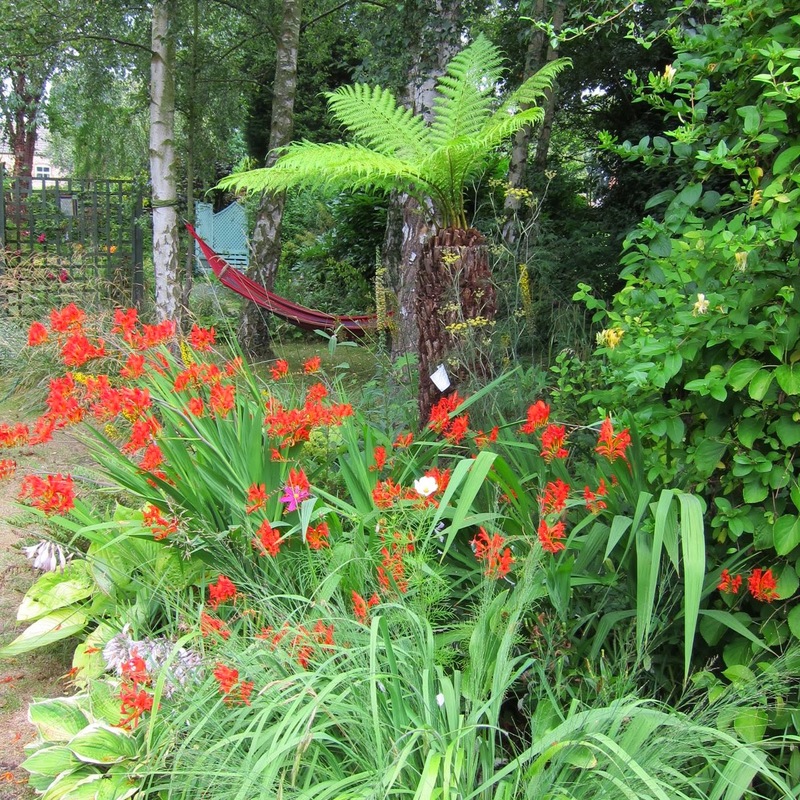 To see other gardens around the globe, please visit Helen at 'The Patient Gardener' and join her for 'End of the month view'. Thank you to Helen for hosting this meme every month, and giving those tantalising glimpses into some wonderful gardens.